Mandolinist, singer, songwriter, and radio host Chris Thile's new album, Thanks for Listening, will be released on Nonesuch Records. The album is a collection of songs that were originally written for performance on A Prairie Home Companion. Since becoming the American Public Media program's host, Thile has, each week, written one new (often topical) "Song of the Week" that gets its debut performance on that Saturday's live broadcast—with Thile, the house band, and some of his guest musicians. For Thanks for Listening, Thile and producer Thomas Bartlett chose ten songs from nineteen possibilities and created new studio recordings of them, rather than merely documenting them as originally performed. 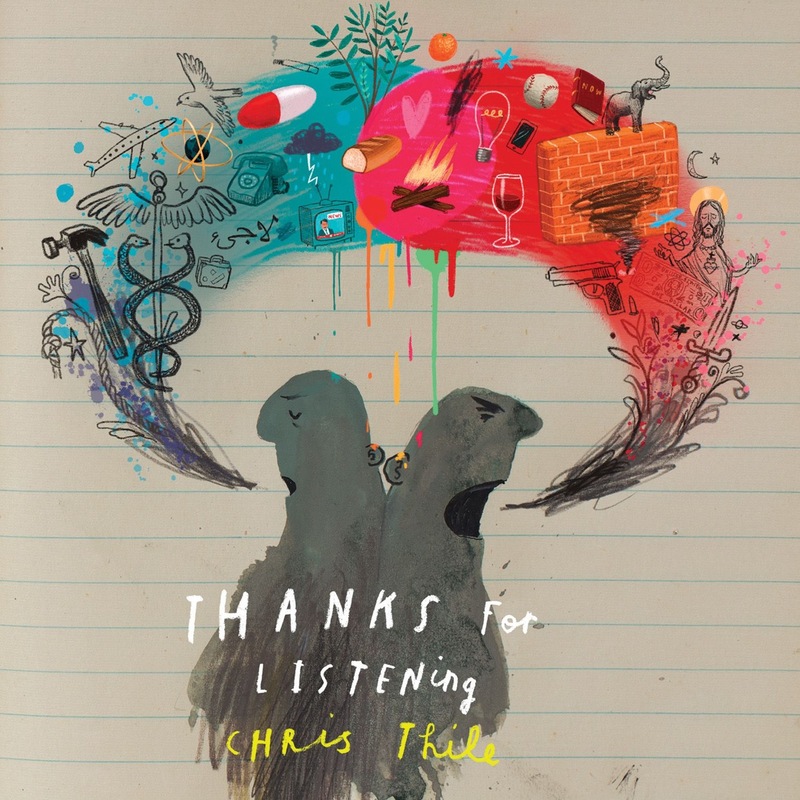 Pre-orders of Thanks for Listening are available now at iTunes, nonesuch.com, and christhile.com and come with an instant download of the album track "Thank You, New York," the lyric video for which you can watch below; pre-orders at the latter two sites also include an exclusive limited-edition print of the album art autographed by Thile. As Thile says, "The album pivoted away from the show and toward the listeners—and not just to the listeners of Prairie Home but to anyone who listens to things. They are my heroes—people who listen. I find myself all too often on the other side of the conversation, talking about what I'm doing. It's hard to maintain focus or give something enough attention to appreciate it. We're in a place where listening is a precious commodity. That's the theme that I noticed rising up, greater than 'here is what was happening last week' or 'here is the place we were.' It's a celebration of people who haven't switched off, despite being given every reason to do so." Thile manned all the stringed instruments during the album sessions, save for bass (Alan Hampton) and viola (Nadia Sirota, on the title track). Ted Poor—like Hampton, a member of Andrew Bird's touring band—played drums on five tracks. Bartlett provided, in Thile's words, "whatever sounds weren't accounted for." Three guest singers also perform on the album, all of whom had been on A Prairie Home Companion multiple times: Sarah Jarosz, Gaby Moreno, and Aoife O'Donovan. Thile says, "All three had made really meaningful contributions to how the songs ended up expressing themselves. 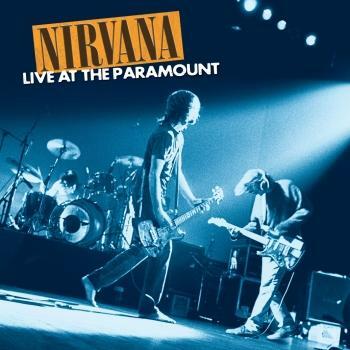 I would bounce lyrics off them at rehearsals—melodic moves, harmonic parts. That goes for all the musicians who played on this last APHC season. They all made such meaningful contributions to these songs. I'm really grateful." 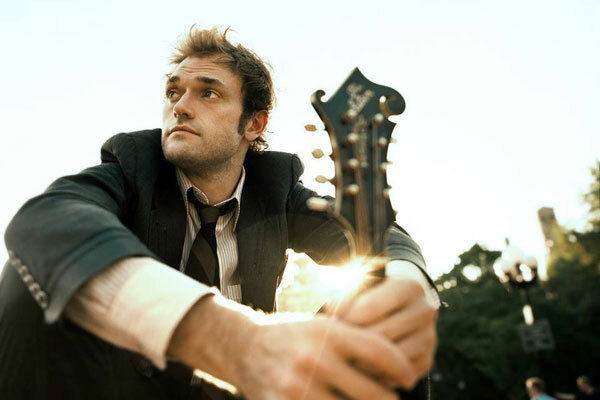 MacArthur Fellow Chris Thile is the founding member of Punch Brothers, which a Boston Globe reviewer has called "the tightest, most impressive live band I have ever seen." The group's four Nonesuch albums are Punch, Antifogmatic, Who's Feeling Young Now?, and The Phosphorescent Blues. Thile's other Nonesuch releases include a duo album with guitarist Michael Daves, two records with bassist Edgar Meyer (one of which won a Grammy), a Bach album with Yo-Yo Ma and Meyer, a duet album with jazz pianist Brad Mehldau, and the T Bone Burnett–produced soundtrack to the Coen brothers' Inside Llewyn Davis. 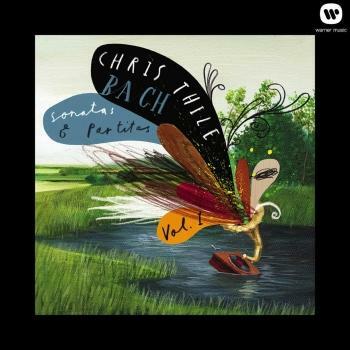 As a soloist, Thile has released five albums—most recently the highly praised Bach: Sonatas and Partitas, Vol. 1—and performed extensively as a duo with fellow eminent mandolinist Mike Marshall. He spent his formative years as a member of the Grammy Award–winning, multi-platinum selling band Nickel Creek, which reunited in 2014 for its highest-charting album to date, A Dotted Line, and an extensive tour. Thile has been host of public radio favorite A Prairie Home Companion since last season, when he took over for longtime host Garrison Keillor. He had been a regular guest on the program since the age of fifteen. "I grew up with the show, says Chris. "I take this opportunity, this job, immensely seriously and with great awe." Musical guests on the show so far have included Jack White, Paul Simon, Yo-Yo Ma, Regina Spektor, and Esperanza Spalding, as well as spoken word guests like Trevor Noah and Maria Bamford. Thile's second season begins October 7 with guests Chris Stapleton and Julien Baker.